Addressing the house, new President Mr. Rahula Dassenaieke. I stand before you today, with paradoxical emotions of pride and humility. HUMILITY- because, I have now been chosen, to serve BRC, each and every one of you, during my tenure as President. I must very clearly state, that I am very fortunate to be, the one, succeeding an outstanding President, who has held this office for 28 long years. Holding this office for such a long and contentious spell, in an actively cricket playing Club alone, I believe, will go in to the Asian record books - for that matter, perhaps – it could be a world record – it’s worth investigating. He has shown me what true leadership is. He has faced many challenges and adversities, on numerous occasions and always after the battle Para has raised the pennant of victory. Many of our club Presidents in the past have been true leaders, which is the main reason why BRC has flourished successfully for such a long period of time. Many noteworthy and monumental project have been carried during the recent past which are very evident and we are enjoying to date. Some of which are nearing completion. All these achievements, most certainly will be engraved in the history book of the BRC. 119 years- a long period of time – several years, decades and eras have passed. But the name BRC remains embedded in the hearts and minds of Sri Lankans – as a club integrated with sports. At BRC we have excelled in Cricket, and we have produced many Cricketers who represented our country. Hockey has been our forte as you know… We have won many awards & accolades for this noble sport. During my Presidency, I hope to perfect the standards of Cricket at BRC, so that we will have at least 2-3 players from us who will be in the National pool. Hockey too must be developed. We must regain our position as the primary Hockey team in Sri Lanka. Regaining our past glory in this sport is a must. Billiards too has taken a prestigious and prominent place in our list of achievements in the past. We should upgrade our standards & facilities for billiards & snooker. 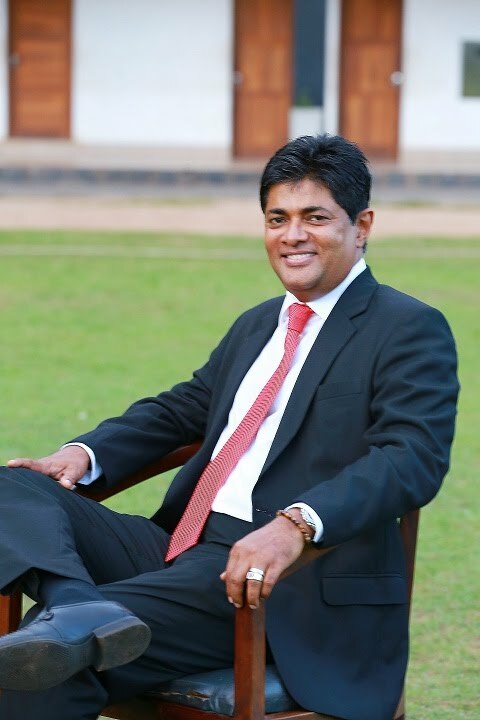 This should allow us to invite and produce star players from BRC, who will have the capacity to represent Sri Lanka in International tournaments and to bring glory to our club. Another focus on mine, during my tenure as President is, to make the Burgher Recreations Club, ‘A Club for the family’. It should not be considered a pub or place where individuals gather in numbers in the evenings, drink, get drunk and leave – just that far and no further – NO – BRC should be a place where the families with children could come together with friends. All should have fun and leave having wonderful memories. All should go back saying we have enjoyed ourselves, also learned a many a lesson, gained a many an experience from BRC. Are there any Entertainment packages tailor made for families? A Cricket Academy to train our children in Cricket. Playing area for Tiny Tots. At present we are in collaboration with PG Martins improving the kid’s entertainment area which will be ready not long from now. Perhaps in about months-time. A pool table for our youngsters. Not forgetting the ladies, we hope to have training programs such as Aerobics, Beauty Culture, Cookery, Cake making and many educative and entertaining programs. With such, I envisage having families to look forward to coming to BRC, and the image that, it is a modern day tavern for drinking, only should never enter their minds. It is my ardent hope that this cardinal objective will achieve during the coming years. Friends! No General has won a war by fighting the enemy alone! My strength will be my TEAM. That is our Club Captain, my General Secretary, Treasure, of course the Vice Presidents, Sectional Secretaries, General Committee Members and the entire staff of BRC. I believe in relegating duties to a group of dedicated and capable individuals, who will work along with me as a team and work towards our goal. Which is for the development of Burgher Recreation Club. Once again friends, let me humbly ask the support from my entire Committee and from the entire Membership, together we can and we will make BRC the best Club amongst Clubs.